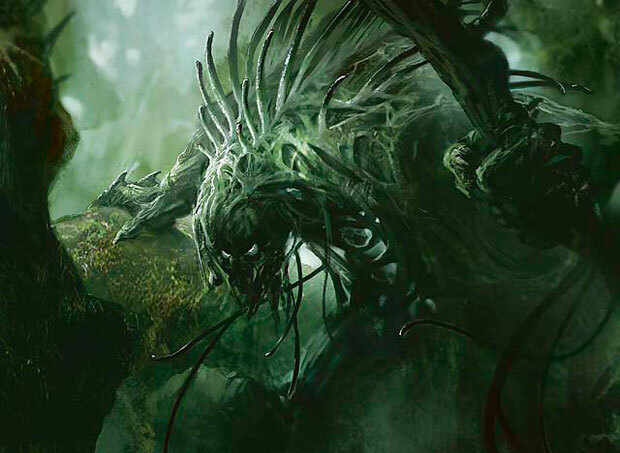 Reader Si has been tinkering around with the Counterpunch deck from Commander, which features Ghave, Guru of Spores and a host of tokens and effects that use or rely upon them. He’d like to keep the general theme of the deck, but wants some suggestions on how to improve upon it. So, Commander players, what are some of the best ways to tinker with this deck? Any thoughts on effects and interactions that Wizards might have missed? Let’s hear your ideas to help Si make this the best deck he can! well this has been my pet to tinker with and i happen to love tokens so i tossed in some of these. First let me say that if you only made one modification it should be to add a “Doubling season” I’m sure i dont need to explain just drop $24-30 and play the funnest card ever made, also interacts well with plainswalkers. *lost auramancers- i dont have an “Enlightened Tutor” this was my best option yea is vulnerable but heck sometimes sticking the enchantment is harder then finding it. *Endrek Sahr, Master Breeder – because i just love making tokens … did i say that yet? Ghave + ashnods alter + doubling season/Blade of the Bloodchief is an infinite combo … i know, i get it ahahaa… its not funny or fun for you or anyone else. I’ve said my peace. The only thing I have to contribute is Nomads’ Assembly. A quick way to quadruple the number of creatures on the board, as long as they’re not waiting to counter it on the rebound. There’s quite a few saproling token makers in the Trample Archenemy deck. Check ’em out. Marshal’s Anthem might be fun too. Thanks for all the great input from the community and for putting up the musing Ertai’s, definitely going for the Doubling Season + sac outlet + board control route. Make it hard for everyone to keep creatures on the board except for me.